The forest stood thick for centuries untouched and unobtrusive. The branches of the trees reached for the heavens and it’s roots stretched into the netherworld. It forged a thick outer shell allowing sunlight to barely reach the ground. It was home to multiple species of animals which roamed in it’s shadows – safe and free. It allowed flourishing of Flora whom men had yet to find any name. When the men first came into the forest, they were reverential. Their Gods existed in these forests, they believed. They were respectful to the majestic greens that composed the environment. They would kneel before the forests. They had needs they would say. They were dutiful as they cut any branches, picked any flowers, hunted any animals for their survival. The forests never did mind. This entry was posted in Standpoint and tagged Contagion, Epidemic, Kerala, Nipah, Nipah Origin, Nipah Virus, Pandemic on May 28, 2018 by fuzzhead045. Recently, Delhi fell under another grip of the pandemic that has been plaguing the city since ever, and this time the city is bleeding. In one of the worst Dengue outbreak in the capital in years, around 7000 people have been reported to be infected and at least 25 people have been reported dead. 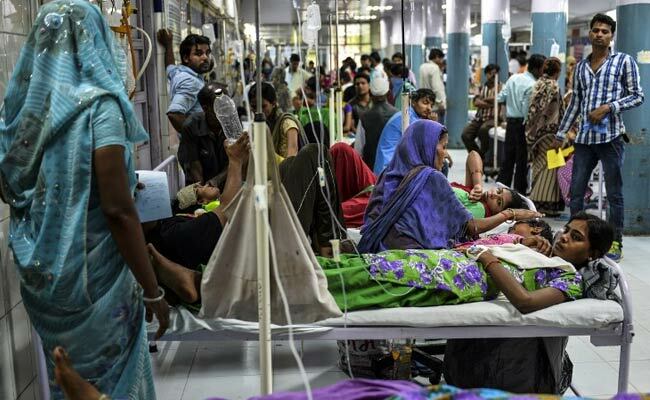 With number of cases piling up, Delhi hospitals were so overcrowded last month that they had refuse treatment to many citing shortage of beds. Some hospitals even have two to four patients sharing a single bed. Following a seven year old boy died for want of treatment and his parents unable to bear the loss jumped off a four storey building in South Delhi. The incident highlights the hapless situation in Delhi this season due to this unforeseen catastrophe. There is a sense of panic everywhere. This entry was posted in Posts and tagged Delhi, Dengue, Dengue Outbreak, Disease, El Nino, Haelth, New Delhi, Pandemic, Virus on October 8, 2015 by fuzzhead045.